Providing you the best range of paper testing instruments with effective & timely delivery. Technosys Systems the superior quality manufacturers of Paper Testing Instruments.The products are design and devloped by specialist engineers and technocrats,who are actively involved in R&D .We are using the superior quality raw materials. All the products find their invariable use in the packaging and paper industry.The range offered by us includes Quadrant Scale, Digital Grammage Scale, Digital Weighing Scale, Circular Cutter, Thickness Micrometers, Tensile Strength Tester Strip Cutter, Folding Endurance Tester, Tearing Resistance Tester, Punch & Die Cutter, Bursting Strength Tester, Paper Electric Incinerator, Gurley Densometer, Surface Roughness Smoothness Tester, Fluff Tester, etc. 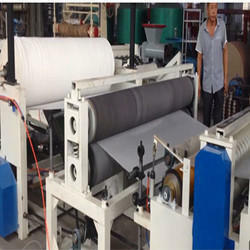 Looking for Paper Testing Equipments ?